2013 Crystal Kite Winner Sharon Cameron! Sharon: The Dark Unwinding is the gothic, steampunk-esque tale of seventeen-year-old Katharine Tulman, sent to her uncle’s remote estate to have him committed to a lunatic asylum. But instead of a lunatic she discovers a childlike, genius inventor, the creator of a fantastical world where science seems like magic and machines have a life of their own. She also finds a brooding apprentice, a dwindling family fortune, and the hundreds of poverty-stricken families it is being used to support. But there is more to Uncle Tulman's bizarre creations than anyone knows, and Katharine has thirty days to choose between his ticking world of clockwork and her one and only chance at freedom. And that’s when Katharine starts seeing things that aren’t really there. Lee: Great pitch! How long have you been involved with SCBWI, and can you share what you feel you've gained by being a member? Sharon: Absolutely! I joined SCBWI in 2005, just a couple of months after I had this crazy idea to write a novel. Through the local and national conferences I found my amazing critique group (together for eight years now), learned the business and the craft, and became a part of “The Tribe.” I've helped coordinate the last six SCBWI Midsouth conferences. In 2009 I won the Sue Alexander Award from SCBWI, and as a result was offered a publishing contract for The Dark Unwinding (2012) and its sequel A Spark Unseen (2013) from Scholastic Press. And now, of course, the Crystal Kite! Joining SCBWI was the single choice that most affected my journey into publishing, not just because of all of the above, but because through SCBWI I learned very early that I wasn’t pursuing a hobby; I was pursuing a career. And that made all the difference, I think. Sharon: One of the things being a published author has taught me is how hard it is to give advice! We are all on such an individual journey. But I think one lesson that is so important to learn (and that I’m still learning!) is how to write from what is uniquely you, while at the same time writing for a market. These things seem like such polar opposites sometimes, but there is always a way to do it. Stretch, experiment with being uncomfortable, and find that narrow road where you can write what you love for the readers who will read it. I know I’m biased, but the Midsouth region (which includes TN and KY) of SCBWI is special. We have a fabulous, very affordable fall conference in Nashville every year. We’ve recently started an annual writing/revising retreat in Kentucky in the spring. We have workshops and free schmoozes and PAL events for our many publishing superstars. We are a true tribe. And where we excel? Our volunteers. Sharon Cameron is one of those volunteers every RA dreams of: she’s organized, thorough, hard-working, and she loves SCBWI. She works year-round on the fall conference as one of the principal committee members, primarily in charge of scheduling logistics. She asks hard questions, provides thoughtful responses, and, well, the girl can WRITE. So when the 2013 Crystal Kite was awarded to Sharon for THE DARK UNWINDING, you might have heard the collective huzzah from the Midsouth! 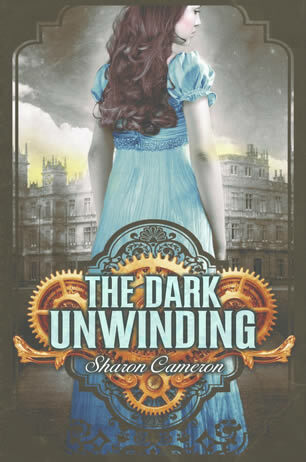 The Crystal Kite isn’t the first nod that SCBWI has given to Sharon and THE DARK UNWINDING. In 2009, Sharon and her main character Katharine Tulman won the Sue Alexander Most Promising New Work Award for the story, which was then titled STRANWYNE KEEP. It is a lush, sweeping, mysterious tale, and the Midsouth is delighted that Sharon’s beautiful story has been honored again with the Crystal Kite. We are so thrilled for you, Sharon, and we are your #1 fans! Find out more about Sharon at her website here. And you can learn more about SCBWI Midsouth at their website. Thanks to Sharon and Kristin, and cheers for Sharon winning the 2013 Crystal Kite Award for "The Dark Unwinding!" Jason Boog for MediaBistro's Galleycat pulled together this great resource, 23 Query Letters To Literary Agents That Worked. Some are shared by the authors (one tells us that it was the 22nd version of their query that got noticed and ultimately led to 5 offers of representation!) And some are shared by the agents who now represent those authors (including one query written in the voice of a character that was a masterful feat of derring-do and voice.) They are all well-worth reading! 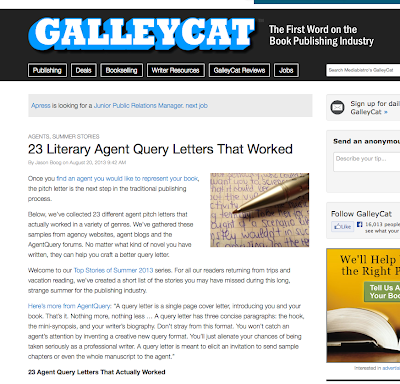 As you craft your query letter (or delay doing just that), let these stories and examples inspire and galvanize you into creating your best query. But remember, don't query until your work is ready. Because no matter how excellent your pitch, your material has to deliver! 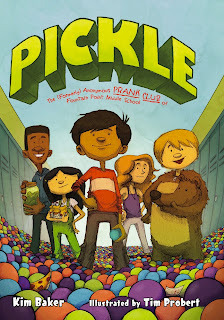 SCBWI's 2013 Crystal Kite Award for the USA West division (Washington, Oregon, Alaska, Idaho, Montana, North Dakota and South Dakota) is Kim Baker for her middle grade novel, "Pickle." 2013 Crystal Kite Winner Kim Baker! Lee: Hi Kim! Please tell us about your book. 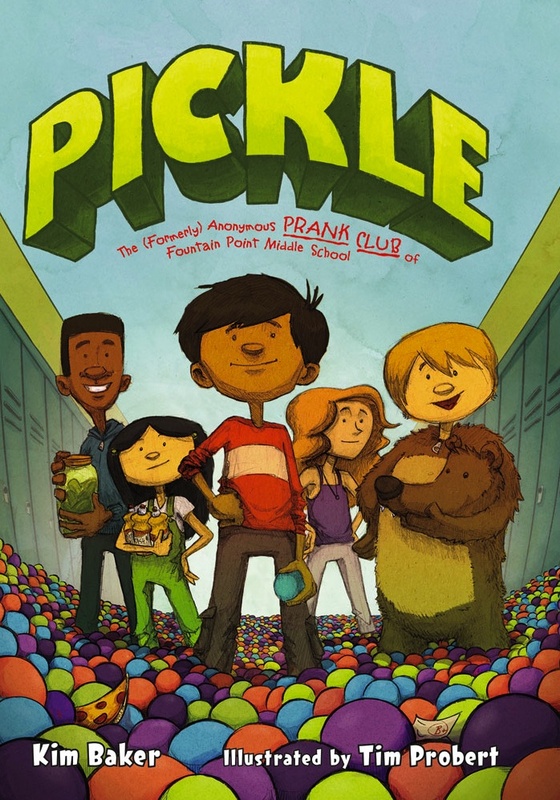 Kim: PICKLE is about Ben Diaz, a new 6th grader who enlists a crew of new friends to form a secret prank task force. Their front is an after school pickle making club. The type of pranks the club pulls off are more about goofy fun and surprise than anything mean-spirited, with varying degrees of success. Ben decides not to include his best friend, Hector, in the club. Hector's grandmother/guardian is the school's authoritarian principal and Hector can't keep a secret. It starts with a classroom full of ball pit castoffs, and gets crazier from there. Complications and hijinks ensue, friendships are tested, and Ben has to decide what he stands for. My editor describes it as FRINDLE meets FIGHT CLUB for middle schoolers (Without the boxing. Or the soap.). That's about right. I honestly wasn't sure what kind of audience it would have, but PICKLE was a Junior Library Guild Selection, one of the New York Public Library's 2012 Best Books for Reading and Sharing, a finalist for the 2013 Children's Choice Awards (Book of the Year for 5th-6th grade readers), and the 2013 Crystal Kite West winner (!!). Kim: There are a few parts to my answer, but they're all pretty intertwined. I've been a member since 2005. I thought I would write picture books when I first jumped into writing for kids, but I was terrible at it. I learned that being a picture book appreciator is not the same as a picture book writer. 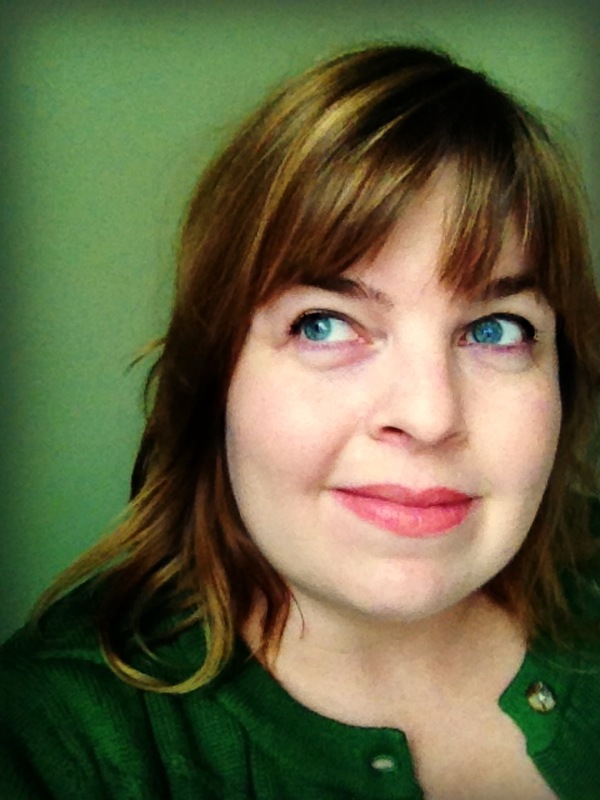 I joined SCBWI, went to a regional conference, and quickly realized I had NO idea what I was doing. I can be a little introverted, and I'm not a big joiner, but I wanted to have all my chips in for becoming a children's book writer. I started volunteering for my SCBWI Western Washington chapter, everything from bringing snacks to the meetings to regional advisor. Being closely involved helps me to stay active and present. It gave me a reason to overcome shyness and be part of the community. I attend all the conferences, workshops, and book events that I can. It's like an apprenticeship for me, and it's fun. I spent some time just finding my voice and honing my writing. I thought about giving up a lot, but I didn't. I pulled back and didn't send anything out on submission after my lousy picture book manuscripts in 2005. I wrote a lot, but that stuff is locked away in a dark drawer. Forever. The odds of getting published are not in anybody's favor, and I wanted to make the best impression that I could. I wrote PICKLE in 2010, revised it a few times, and had a feeling that it was ready. I can be, um, overenthusiastic about things, so before I sent it out I confirmed that with faculty consultations at conferences and peer critique feedback (from great friends that I met through SCBWI!). I took the leap and sent PICKLE to a short list of prospective agents that I had connected with at conferences. I'm fortunate to be working with Sara Crowe, who then sold it to Roaring Brook Press. Our region is large and very active. The community is amazing. Being around such warm and creative people is so fun and inspiring. Lin Oliver calls it "the tribe," and you really get a sense of what that means at events. When I began attending the big summer and winter conferences as part of the SCBWI WWA regional advisory team, my tribe grew even bigger. I keep in touch with friends I've made through SCBWI all over the world through social media. We have a fab new regional advisor team this year, but I'm thrilled to be attending the summer conference as a panelist. It's important to me to attend every chance I can. I thanked the SCBWI in PICKLE's acknowledgements, because I know I wouldn't be published without this fantastic organization. So, I've gained education, community, focus, confidence, friendships, and a path to publishing I would never have found on my own. I am forever humbled and grateful. Kim: Hmm, advice is tricky. I believe that everyone has their own path. I thought I was doing it wrong for a long time because my writing process is pretty different than how people advised me that it should be (read: Disorganized. Slow. Crazy). I tried it their way, and it didn't work. I didn't want to quit, so I went back to my way. I implement new ways here and there, but it's stayed basically the same since the beginning. I would say to be genuine, patient, and brave, whether you're published yet or not. Give yourself permission to invest the time it takes to find your unique voice and stories and be the best writer (or illustrator) that you can be. Most of the crummy stuff I wrote in those first few years were stories that I thought might be marketable. You can't really write to the market (particularly if you write a bit on the slower side, like me), and I couldn't do my best unless it was a story that I felt needed to be told. You should feel that your story has a place in the market, but isn't for the market, if that makes sense. Writing a novel takes enough commitment that you need to be as invested as you can be. PICKLE is silly, but it's also a little subversive and about standing up for yourself and finding your own path. It's a common theme, but I knew that nobody else was going to tell it the same way I would. In the past, I wrote stories that I worried that someone else would write and sell before I finished. I didn't really think about that with PICKLE. It's a little weird, and I know it's my own. I think I need to get that on a t-shirt. "Find your weird." Excellent. Thanks, Kim! The Western Washington region typically serves about 700 active members living in the western half of the state (more or less), including Seattle and the greater Puget Sound area. We have a couple of dozen events a year, most notably an annual conference serving 400, a fall weekend professional retreat, workshops, Inside Story events to promote PAL members' new books, northern and southern network events, and more than our fair share of Kid Lit Drink Nights. About a third of our members are traditionally published, many as bestsellers, and about a quarter are illustrators or author/illustrators. Kim recently spent two years our region's co-regional advisor (with Jaime Temairik) after serving three previous years as assistant regional advisor, and she continues on our Advisory Committee. She's one of our resident stand-up comics — the humor in her book comes naturally and is regularly on display for those of us lucky enough to know her in person — and members often comment on how much they've enjoyed her MC duties at a number of our events. She's also the best faculty-spotter, face-recognizer, and schmoozer imaginable; as ARA, she made it immensely easier for us to chat up and snag great faculty for our events. Her handcrafted Cookie Contest trophies, medals, and other coveted prizes have made our annual holiday cookie contest a growing hit for a number of years. It's been great fun for many of us to watch her career as she worked on manuscripts, shared them with us for critique, and ultimately sold Pickle as her debut. We're thrilled to see the book's great reviews, Children's Choice Finalist honor, and well-deserved Crystal Kite award! "We're so proud of Kim." To learn more about Kim, visit her website here. And to find out about all the great things SCBWI Western Washington is up to, visit them at their website. Thanks to Kim, Joni and Brenda, and cheers to Kim on her Crystal Kite win for PICKLE! We've reached a point where people (including Washington Post blogger Katherine Boyle) are buzzing about how last year Kickstarter gave out more money to the arts in the USA than the government's National Endowment for the Arts. 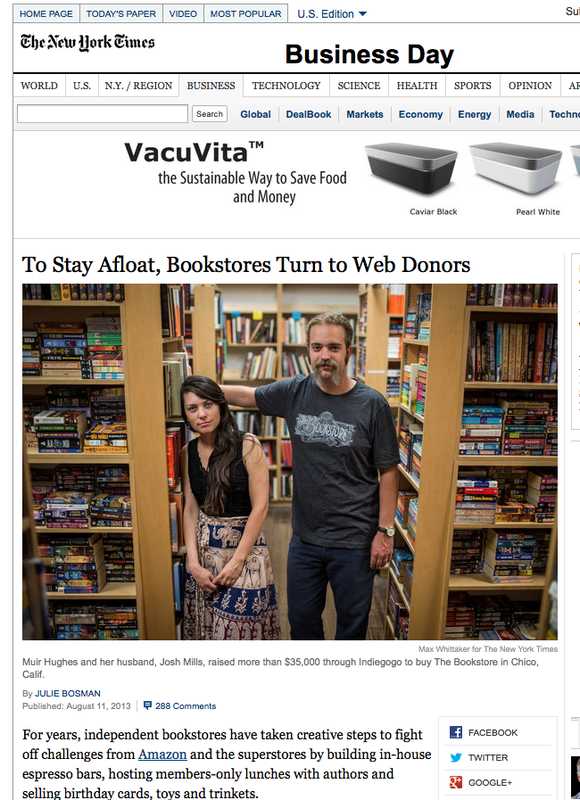 With all the clamor and predictions about the effects of technology on the future of publishing, crowd funding bookstores is a fascinating development! 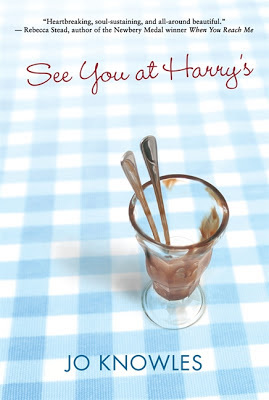 The 2013 Crystal Kite Award for the New England region (Maine, Vermont, New Hampshire, Connecticut, Massachusetts and Rhode Island) goes to Jo Knowles for her middle grade novel, "See You At Harry's." Jo: See You At Harry's is about a busy family trying to keep their restaurant afloat and their family intact. Twelve-year-old Fern feels invisible. Her dad is always planning how to increase traffic to the family business. Her Mom is constantly disappearing to meditate. Her older sister Sarah is busy sneaking off with her secret boyfriend; and her brother Holden is too focused on his own problems navigating how to come out to his family and survive high school. And then there's Charlie, her three-year old brother who gets all the attention except when everyone's too busy to look after him, and the responsibility falls to Fern. When tragedy strikes though, the family is turned inside out, and they slowly learn that the only way to heal is to come together. Jo: I believe I joined SCBWI in 1996. It was after I discovered an old flyer on a bulletin board in the library I'd just started working at. The heading was, "Do you want to write for children?" Since I did (very much) I went to the meeting. There, I met several writers who became my life-long friends and mentors. Society seems like the absolute wrong word for this organization. 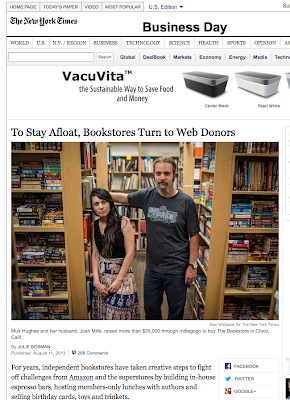 I think it should be called Community of Children's Book Writers and Illustrators. Or maybe Family of Children's Book Writers and Illustrators. Because that is what the members I've gotten to know have become. I would never have published my first book if not for the encouragement, support and love I received from these wonderful people in this wonderful community. Jo: Get to work! I hope that doesn't sound too bossy! But you know, lately I've heard a lot of people talking about how much time they spend researching where to submit their work and worrying about how long it's taking to get published, rather than writing and revising every day. I know where that road goes because I've been there myself. It's not fun. On my best writing days, my end goal isn't publication. It's to try to write something beautiful and powerful and uniquely mine. Something I can say about with pure honesty, "I'm proud of this. It's my best work." Those are the days when my writing is at its truest, and most meaningful. So my advice is to give yourself those kinds of creative days as often as you can, and limit the business ones for when you can honestly and proudly say, "I'm done." SCBWI New England, over 2500 members strong, was organized by Jane Yolen soon after Lin and Steve began SCBW. Our active region hosts a three day annual spring conference with 650 people and ongoing workshops, retreats, and events during the year. We have a Whispering Pines Writing Retreat, PAL events organized by Melissa Stewart, over 75 critique groups in the region, and an Illustrator's Day, to name a few. We offer the critique group leader grants once a year so that critique groups can invite a speaker or plan an event addressing the needs of their particular critique group. We also have a bi/monthly newsletter that is posted on our website and on the SCBWI master website. SCBWI New England has an informative website, a listserve open to all members for information sharing, exploring new ideas, and discussing questions and concerns that arise. We have an SCBWI New England Face Book page and a New England Twitter feed. We have four Regional Advisors who have specific duties and along with the ICs and the PAL Coordinator and ARAS form an executive/advisory board to guide and direct the region. Jo Knowles is one of our best. She has written thought provoking and timely stories and is very deserving of the two Crystal Kites Awards. She takes an active role in our region by attending conferences, blogging, hosting a PAL meeting, and serving on a scholarship committee. 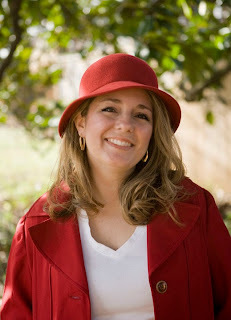 You can learn more about Jo Knowles at her website here. And find out lots more about SCBWI New England here. Evidently, my habit of putting two spaces between sentences is a lesson I learned long ago that has since gone extinct. With appreciation to Melissa Stewart who gave me the kind heads-up, and to Jane Yolen and Mark Teague (for their wonderful "How Do Dinosaurs...?" picture book series) which inspired this blog post's title. 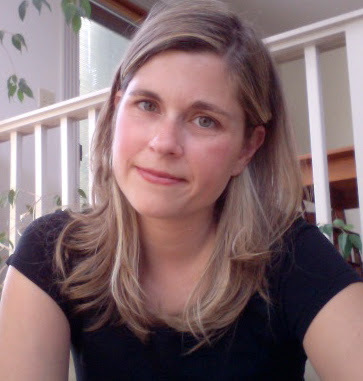 Kate has previously won the 2012 Golden Kite Award (for her picture book "Over and Under The Snow") and the 2011 Crystal Kite Award for "Sugar and Ice." Lee: Congratulations, and please tell us about your book. Kate: Thanks for the good wishes on the Crystal Kite Award – I was truly thrilled to get the news... CAPTURE THE FLAG is the first in a three-book mystery series with Scholastic. It’s about three kids whose families are part of a secret society to protect the world’s artifacts. They’re snowed in at a Washington, D.C. airport when they realize that the giant flag that inspired “The Star Spangled Banner “ has been stolen from the Smithsonian Museum of American History and might be there at the airport with them — and with the bad guys who stole it! They have a great adventure, racing all over the snowed-in airport, down the luggage chutes, riding conveyer belts all over the underbelly of the airport, trying to track down the flag. This was such a fun book to write, and so were its two sequels. The second book, HIDE AND SEEK, came out in April, and it follows the Silver Jaguar Society to the rainforest of Costa Rica to track down an ancient society artifact that’s gone missing. The third book, MANHUNT, is due out in May of 2014, and this book features an international heist that sends the kids investigating underneath the streets of two amazing cities — Boston and Paris! Kate: I’ve been a member of SCBWI since 2007, and while I absolutely love the craft workshops at all the conferences I’ve attended, the absolute best thing about this community is the people. SCBWI members are amazing mentors for one another — something that’s so important in this field. I’ve never met a group of people more willing to share of their time and talents to help others along on the journey. Kate: I think the best advice I could offer to other children’s book writers and illustrators is to focus on the joy of the work first. This business can be so tough sometimes, for both published and pre-published writers, that it’s easy to feel all muddled up and frustrated. But for me, losing myself in story is always the antidote to that. Get writing — get drawing — and play, instead of worrying so much about the editors and agents and reviewers. You’ll find the joy that made you want to do this in the first place, and your creative work will shine as a result. The Eastern New York SCBWI region is extremely active, with just over 300 creative members. We are located just north of New York City and stretch up the Hudson Valley all the way to the Canadian border. We offer a variety of workshops, retreats and conferences, including our ever popular annual Falling Leaves retreat held in the beautiful Adirondack Mountains. With our close proximity to publishers in New York and Boston, we are able to host a number of editors to our events each year. In addition, we have very active monthly Shoptalk meetings throughout the region. In fact, it was at one of our meetings that I got to know Kate Messner. Since then, I’ve had the privilege of presenting her with her first Crystal Kite and am looking forward to presenting her with her second. Kate has always been a strong supporter of SCBWI and, in fact, helped organize our first Shoptalk meeting in the Plattsburgh area. It is wonderful to see her rewarded for her writing. To learn more about Kate, visit her website here. And for more information on SCBWI New York: Eastern Upstate, check out their region's website. 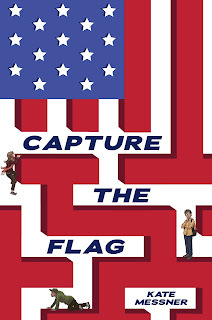 Thanks to Kate and Nancy, and cheers to Kate on her Crystal Kite Award for "Capture The Flag!" The tweets from the 2013 SCBWI Summer Conference are a time capsule of the last four days. Below I've shared some tweets that jumped out at me. Even if you're not on twitter, you can check out the the full #la13scbwi stream here, and of course, visit The Official SCBWI Conference Blog for videos, photos, and all the reports from the conference keynotes and sessions! Unexpectedly finding a moment of quiet in the middle of #LA13SCBWI conference's crazy Saturday = priceless. But then I had to tweet abt it. Brainstorming one of my PB's in the lobby at #LA13SCBWI after feeling inspired by @macbarnett and @Jon_Scieszka. And yes there is a battle! #LA13SCBWI Agent panel: We got into this because we love books, not because we thought we would make a lot of money doing this. leaving #LA13SCBWI armed with inspiration to create, knowledge on craft, friendships new & old, and the motivation to push forward. #LA13SCBWI was so inspiring! I have a slew of great ideas and was also able to come up with an ending to my PB! Leaving #LA13SCBWI with new friends, inspiration, ideas, techniques, tools, and pride. #LA13SCBWI ended on a very high note. @mattdelapena's intensive was well worth it! @LauraZarrin I filled up the entire little sketchbook with #LA13SCBWI stuff! The Sold-Out 2013 SCBWI Summer Conference (#LA13SCBWI) Starts Tomorrow! If you won't be here in Los Angeles for the conference, you can still follow along and get a taste of all the excitement at The Official SCBWI Conference Blog! If you are one of the lucky 1,000+ attendees, make sure to check out the conference blog for highlights of the sessions you missed and to add your own comments to the keynotes and moments that Rocked Your World! Either way, you should bookmark the conference blog! If you're not on twitter, you can still check out the latest tweets from the conference by doing a twitter search on the hashtag #la13scbwi. Either way, twitter offers a great window into what's happening "right now" - and the conference retweets always include great conference moment quotes! Check out this "SCBWI conference etiquette" video. If you're attending, it's good advice. If you're not attending, it's a good laugh! Thanks to Arthur A. Levine and Paula Yoo for being my co-conspirators on this now-classic.